A friend of mine hosted an artist trading card swap during a small art show opening. Since I have only participated in art swaps that involve the post office, I was excited to go out and be an active participant in selecting the art I would receive in return for my cards. 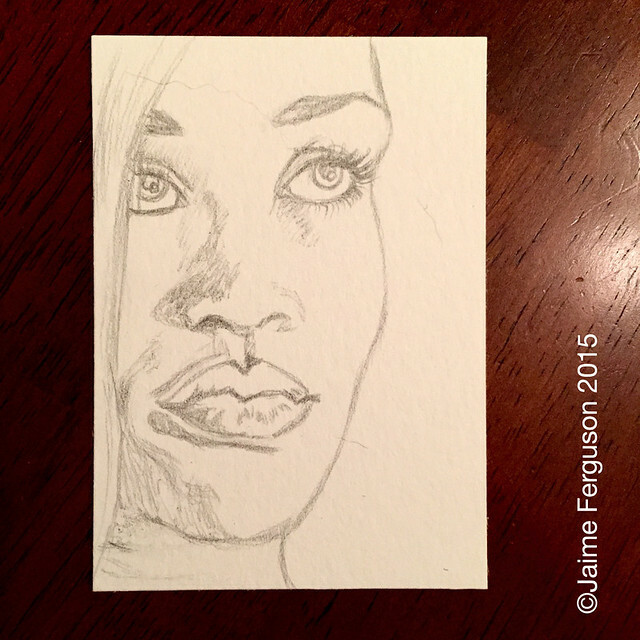 You could do up to five 2.5″x3.5″ cards, but I ended up only having enough time to draw, ink, and paint three. 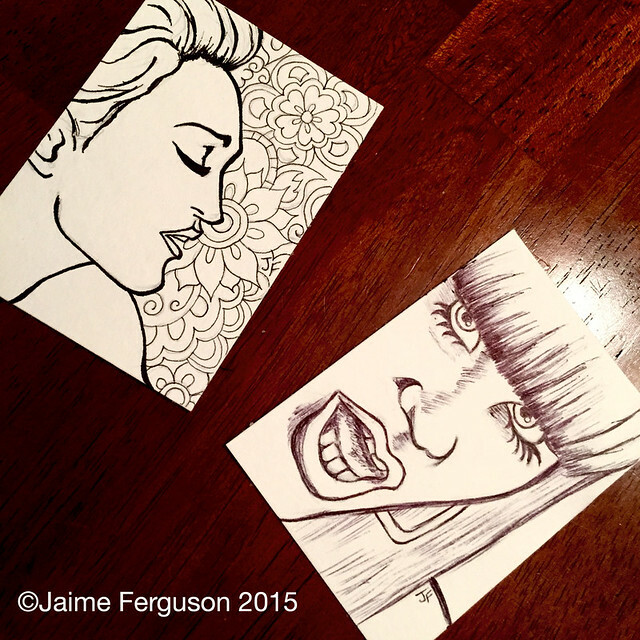 Madonna and Jessie J inked and ready for paint! 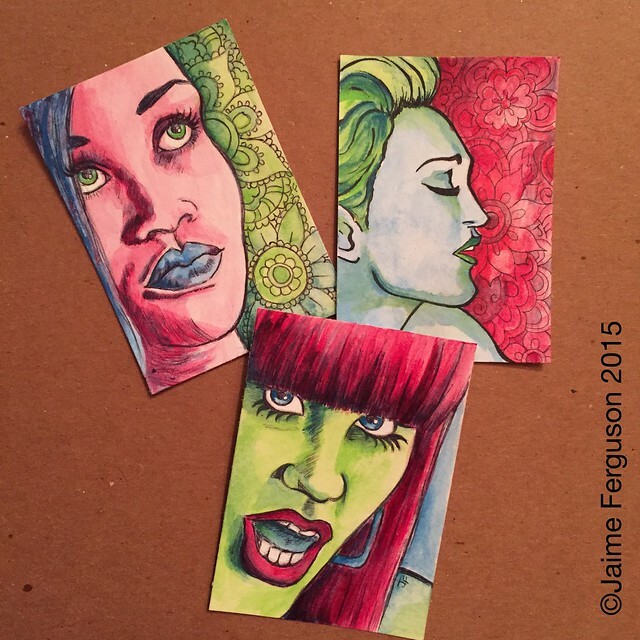 The first drawing I had completed was Jessie J so it didn’t occur to me until I had sketched out Madonna that I should fill the background with my doodles. There are a lot of people now who are familiar with my doodles, but have no idea that I can draw more realistic. I have played with mixing the two before, but not quite in this way. I did end up choosing to use only three colors: red, green, and blue to paint with for all three which made them pull together as a series even more than in ink form. Medium: Mixed media (ballpoint, Prismacolor Illustration markers, and Liquitex Heavy Body Acrylic Paint) on watercolor paper.